The Hyde Park Barracks (with the spires of St Mary's Cathedral in the background). Designed by convict architect Francis Greenway, it was built 1818–19 as the principal male convict barracks in New South Wales; providing lodgings for convicts working in government employment around Sydney until its closure in mid 1848. 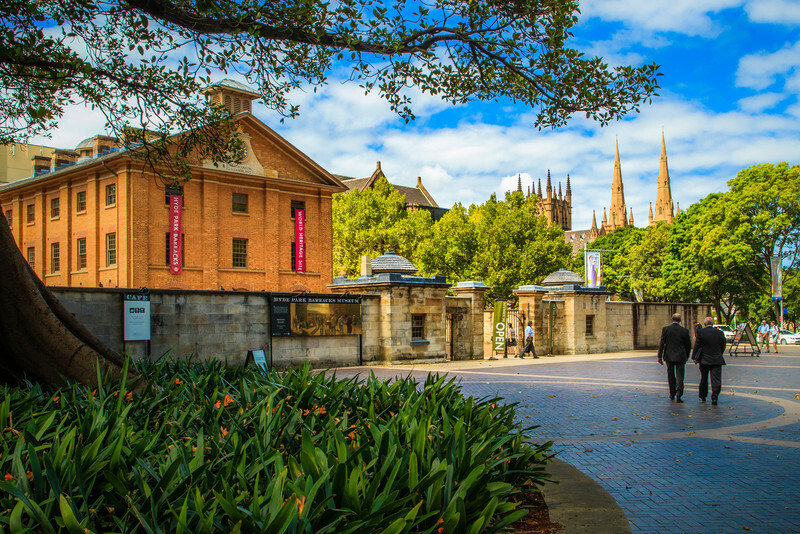 The building was restored in 1991 and currently serves as a museum of Australia's colonial convict heritage.